"The journey of a thousand cups begins with a single sip." 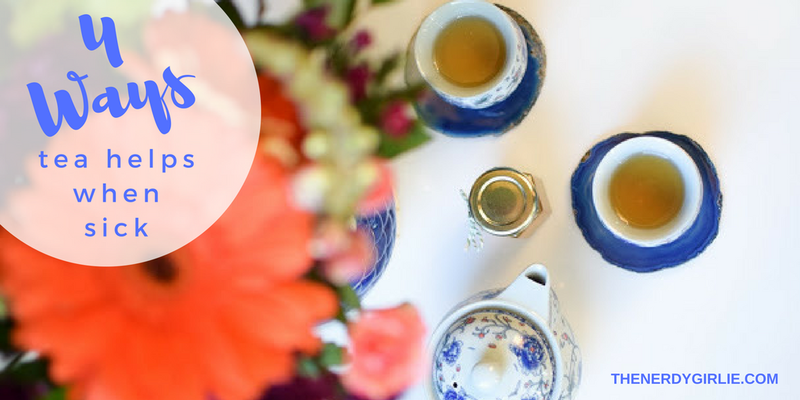 I've show my love for tea many times here on the blog. One of my favorite times was when I wrote about creating the perfect British cup. Since then I've tried many teas and have grown my collection and love for the drink. So when The Art of Tea reached out to me to try their tea I was so ready! Their tea helped me feel better and warmed my soul. 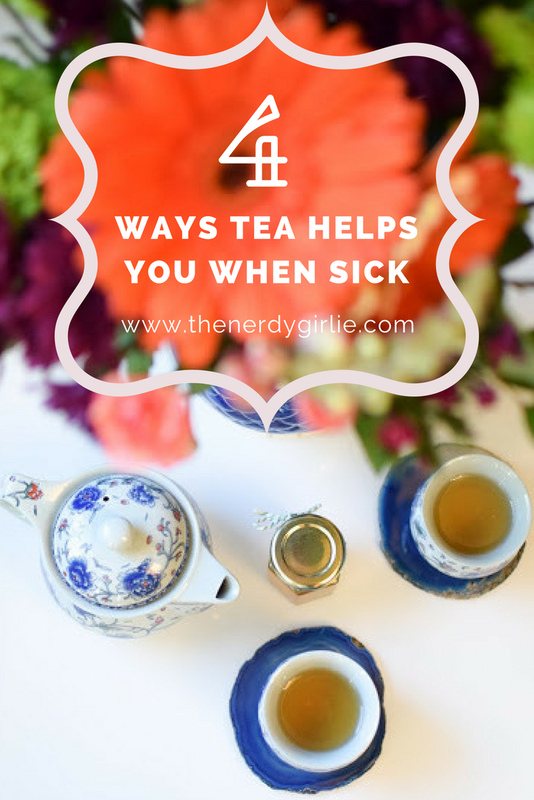 Here are four ways I used their tea to help me fell better when I was sick. 1. Tea for two. Ocean Eyes loves making me tea when I'm sick and I love accepting it! Having someone willing to help you when you are sick makes all the difference! Plus finally being able to use my brand new tea pot and cups all the way Japan that my mom sent me for Christmas was great too! They are so beautiful! This Tuscany tea was my favorite out of all the teas. It was a minty soft flavor, perfect on the tummy! 2. Tea to go. Today I had to go to work so I made a cup to go in my brand new tea steeping travel mug, also a Christmas present, from Ocean Eyes' parents. This Earl Grey Lavender was such a pleasent way to warm me up on my way to work and to help me get through my long "Monday." And always remind me of my favorite band, A Silent Film and their song Lavender Fields! 3. It can brighten your day. 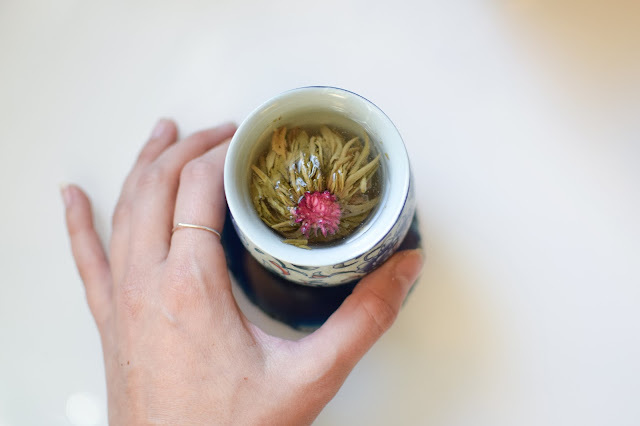 When your sick, it is the little things that matter so having a cup with a beautiful bloom in it can not only warm your body but warm your souls and put a smile on your face. Smelling it cleared up my stuffy nose and brought in a beautiful fragrance! 4. To keep you warm. Personally I'm always cold so a warm drink is always what I want. But when I'm sick and cuddled up under my favorite blanket holding a warm cup helps so much. The Earl Grey Creme was probably my second favorite. 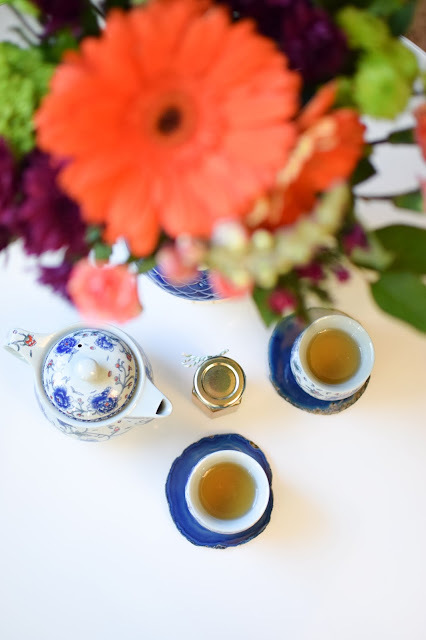 Any Earl Grey is a winner in my book such a wonderful rich black tea for a sick winter day! What do you do to make you feel better when you are sick?! Share with me in the comments below! Other things I did on my sick day off? Prison Break, dreaming of pie and all the vitamins! Thank you Art of Tea for helping me out today and many days to come!